There’s a lot you can learn from Orwell’s writing. His Animal Farm and 1984 are now considered masterpieces – ironic, given the difficulties in getting them published – and are studied in school, I hear. “Intelligence and wit, awareness of social injustice, opposition to totalitarianism, and commitment to democratic socialism” are some of his traits. Some of them are impossible to emulate or even approximate. If you did, your work would be described as Orwellian, which shows how difficult the task would be. 1. Learn from the best. Have I said anything that is avoidably ugly. 3. Avoid metaphors. Not all, just the dead ones. A metaphor you create evokes a visual image but a metaphor you recycle from current use loses its vividness. Toe the line, stand shoulder to shoulder with, play into the hands of, no axe to grind, fishing in troubled waters, on the order of the day, Achilles’ heel. To use these and others is to be lazy. The result is a euphonious phrase that lulls you to sleep. Make up your own metaphors! 4. Less is more (this is in direct violation of the previous point). Choose the appropriate verb or noun instead of a phrase. Characteristic phrases like render inoperative, militate against, make contact with, be subjected to, give rise to, save you the trouble of finding the appropriate word. Use the active as often as you can. Use simple conjunctions instead of phrases like as with respect to, having regard to, the fact that, by dint of, in view of, in the interests of, on the hypothesis that and don’t end sentences on such commonplace as greatly to be desired, cannot be left out of account, a development to be expected in the near future, deserving of serious consideration, brought to a satisfactory conclusion, and so on and so forth. 5. Don’t be a pretentious arse. Foreign words or expressions are used to give an air of cultural elegance, even though they sometimes have a certain je ne sais quoi. Words like categorical, virtual, primary, promote, constitute, exhibit, exploit, utilize, phenomena, only embellish and give an air of untrue scientific impartiality. Adjectives like epoch-making, epic, historic, triumphant, age-old, inexorable or words like realm, throne, chariot often dignify war and politics. Bad writers will also employ terms with Latin origin instead of Saxon because of their “grandeur”. They end-up with unnecessary words like ameliorate, extraneous, deracinated, clandestine, subaqueous. Also, to words with Latin or Greek roots are added prefixes or suffixes to avoid finding up their English counterparts. Words like deregionalize, impermissible, extramarital. 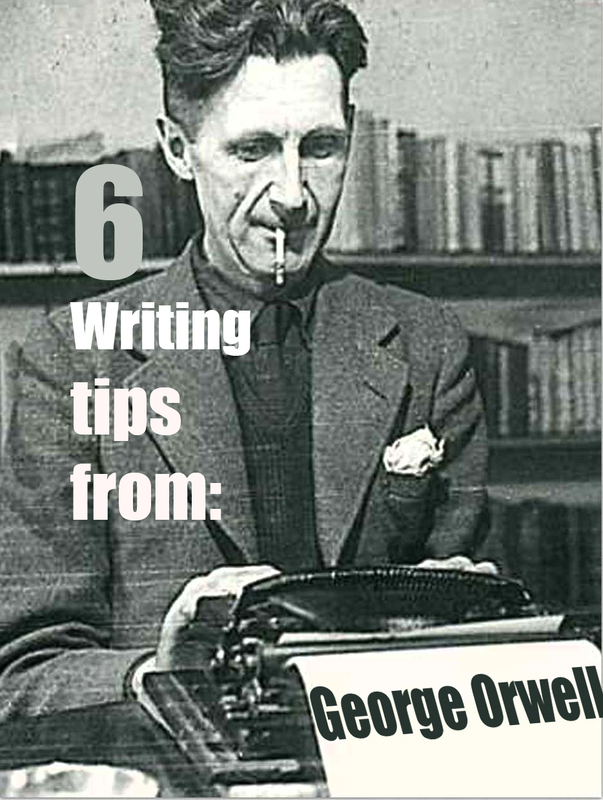 In general, Orwell says this will result in an increase in slovenliness and vagueness. 1. Learn to write from reading the best. 2. Never use a metaphor, simile, or other figure of speech which you are used to seeing in print. 3. Never use a long word where a short one will do. 4. If it is possible to cut a word out, always cut it out. 5. Never use the passive where you can use the active. 6. Never use a foreign phrase, a scientific word, or a jargon word if you can think of an everyday English equivalent. 7. (This one is bonus) Break any of these rules sooner than say anything outright barbarous. I feel these rules apply not just to good writing but also helps you from becoming a “pretentious arse”. I know a few people who use words so far fetched I’m sure even they don’t know what they’re talking about.